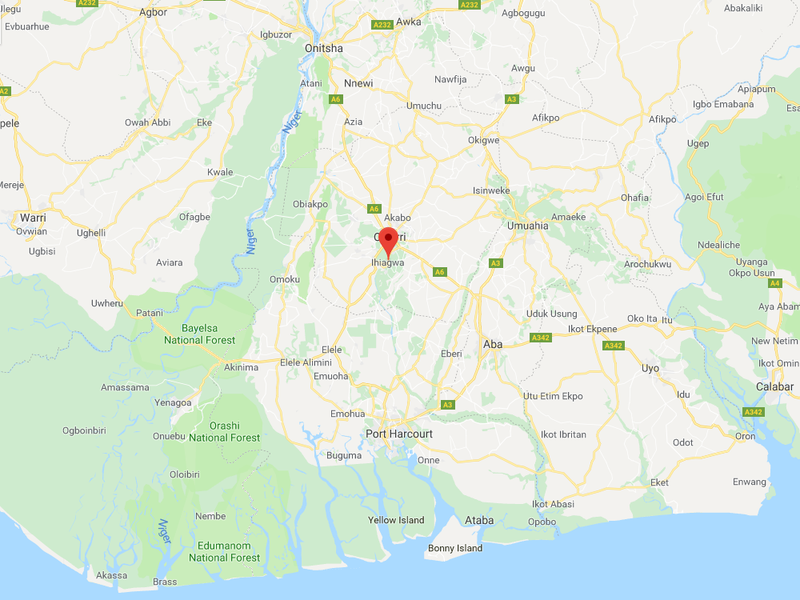 It's about time we returned to Ihiagwa, just outside of Owerri, capital of Imo State, Nigeria and home of the Obi Wuru Otu Dance Group, led by Madam Maria Anokwuru and featuring the stellar vocals of Rose Nzuruike! On January 24, 2010 I posted their hit LP Nwanyi Ma Obi Diya (Onyeoma C.Y. 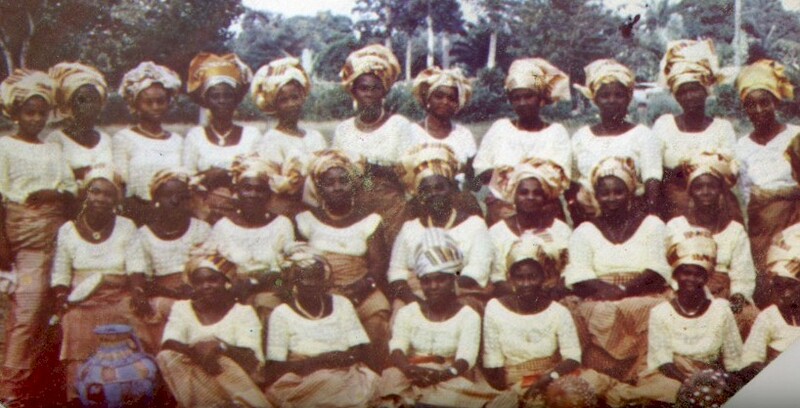 Records CYLP 016, 1984), one of the biggest-selling Igbo records of all time. I've since found out more about the group and its star, Madam Nzuruike (thanks, internet!). A collective endeavor by all eight of the villages that comprise Ihiagwa township, the group was founded in 1979 as the Ndom Ihiagwa Dance Group. Mrs. Rose Nzuruike was selected from her village, Umuemeze. She initially demurred as her husband had recently passed away and she had young children to care for. However, she reconsidered when her late husband Remy came to her in a dream and urged her to perservere. She was then judged the best, and hence lead, singer of the group, a role she has fulfilled ever since. I now present Ezi Nne (Onyeoma C.Y. Records CYLP 047), a further exploration of Igbo roots music, Owerri style! By the way, Onyeoma C.Y. 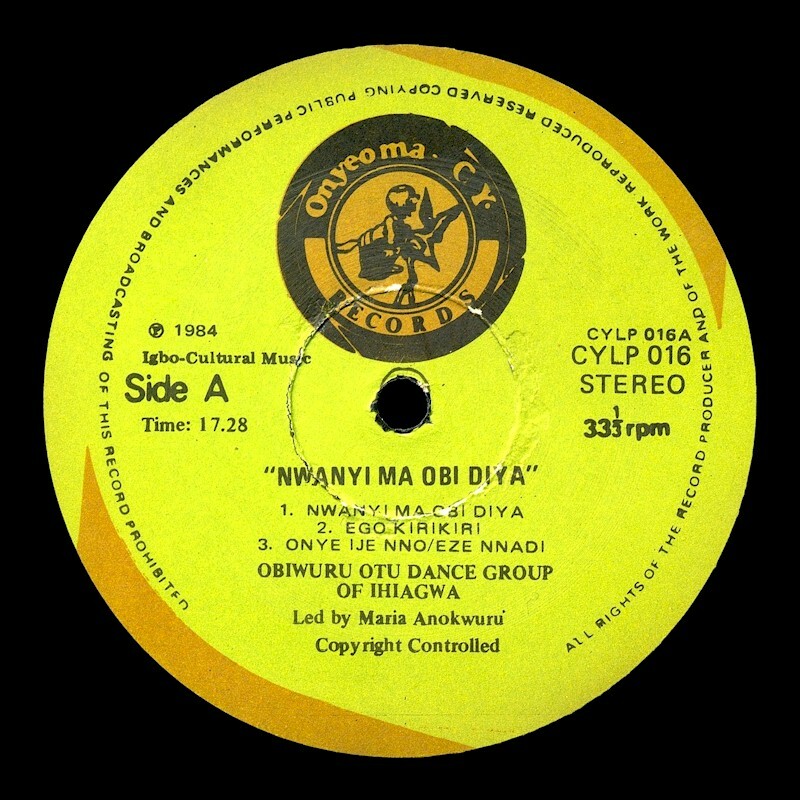 Records, which issued these two Obi Wuro Otu albums and at least one other, Aku Ebi Onwu (CYLP 028), was one of the more interesting smaller Nigerian labels, specializing in roots music like this as well as Ghanaian highlife bands resident in Nigeria. In 1995 I paid a visit to their office in Onitsha with the intention of perhaps licencing music for release in the US. No one was there, so I left a note under the door. Several months later I received a letter from the proprieter of the label, who was definitely interested! However, lacking the proper entreprenurial spirit, I suppose, I never pursued the idea. Oh, well! Download Ezi Nne as a zipped file here. Many thanks as usual to my wife, Priscilla, for interpreting the lyrics. The website of Ihiagwa Township is a fascinating resource which was quite useful in researching this post.